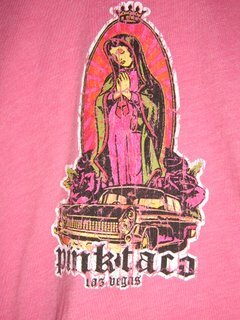 And so I offer yet another t-shirt saga with the story conceived in Las Vegas under the influence of tequila at the Hard Rock Resort and Casino. Maybe this t-shirt and story will excite a better trade at Craigslist. Then again...maybe this is merely a storytelling blog. Time will tell where the energies are going to lead. Leave your comments on which stories you would like to hear more of. As the movie opens we see a group of children aging from 6-14 sitting around a campfire on the beach with an older man, their scout-master/leader. There are no stars in the sky as the firmanent has now been replaced, and the night sky is muted and appears to be of an opaque silver tone. This camping trip is an exciting outing for the children as they rarely get to set foot on land. Now their homes are structures which float on the water held down by cement pilings. The former land masses worldwide had been diminished in size at the time of the Great Shift, and the diminished human population accomodated to this upheaval and developed floating islands. Thus, the children are elated to have this rare experience of camping on land. They are in great spirits and beg the old man to tell them "The Story of the Return Of The White Dolphin" once again. They have heard it many times before, but they like the way the aged Storyteller puts another spin on it each time he re-tells it. The 'White Dolphin' is their cultural myth since the time of the Great Shift. When the Great Shift happened many years prior to their being born, humanity collaborated with the dolphins to ensure the survival of the human race. Certain wise ones, star seeds and crystal children guided the development of the development of the ever-changing, evolving Earth civilization. These children and their families now live with a synergistic human-dolphin connection, and the former technological age of the 21st century is history. There is now the inner-net, versus the internet of times past. Storytelling never dies despite catastrophic change, and so the wise Storyteller clears his throat and begins. Thus far I've had a very poor response to my online ad on Craigslist, so I posted on another upstart online free classified site this week. Nada. Zip. Zero action. This feeble return is why I've decided to up- the- stakes with a bolder headline this coming week as the headline "Be A Part of History" is only attracting a few traders for the vintage t-shirt. I'm considering a way more outrageous headline to attempt to move this blog along to fame and fortune. Any suggestions or comments would be appreciated. 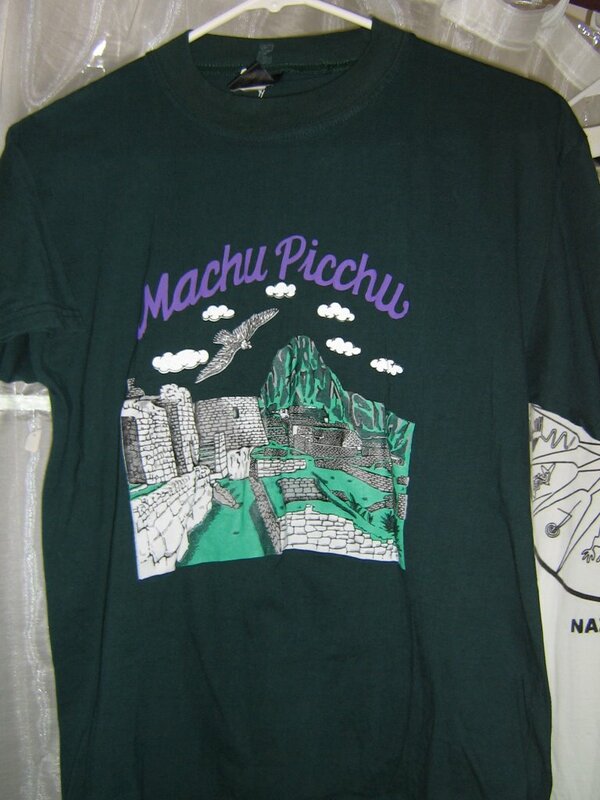 Another offer from Craigslist for the Machu Picchu t-shirt: "I would be willing to trade a pomegranite tree for your tee-shirt. You dig up this 6' tree out of my back yard, and it's a trade......"
"Re: the Machu Picchu t-shirt. First of all what size is it? I have fresh papaya and avocado. If you can post a picture I may throw in a large fish steamer, a french bread pan, and a professional chef whisk. Note: I had uploaded two photos of this t-shirt to Craigslist when I posted the barter ad, but when I went back to check today, I didn't see them. Where did they go? I have a mystery on my hands. 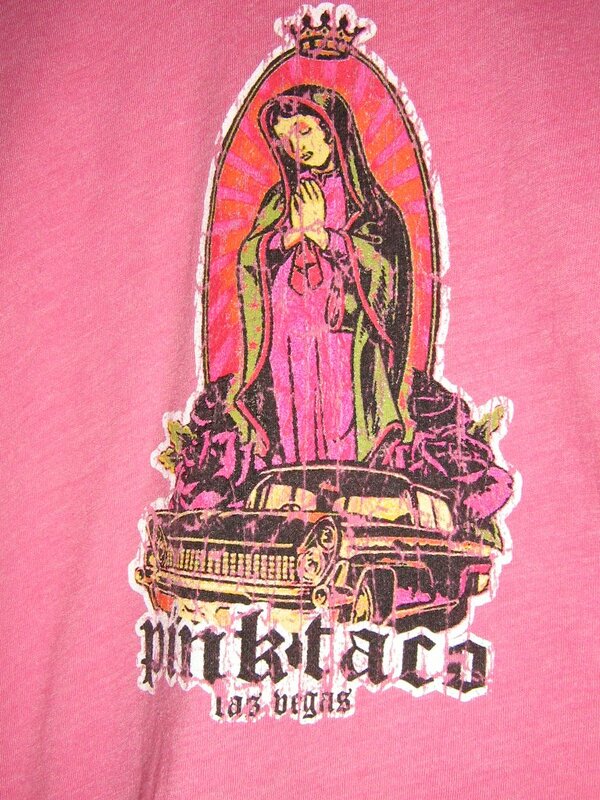 Let the stories of the vintage t-shirts begin! Maria reached into her white apron and pulled out a handful of silvery green leaves and then gently and expertly cast them on the worn woven cloth. Our foursome was mesmerized as we watched the exotic Maria interpret the patterns that were displayed for we knew that Maria, an elderly Aymara Yatiti native ceremonial healer and seer in Peru, was communing with the spirits and that these piles of coca leaves were revealing the essence of our lives. She squinted into the high altitude sun. Her eyes sparkled like tiny twinkling orbs, and with her unfocused gaze, I felt as if she saw beyond time and space. Each time she threw the hundreds of coca leaves again for more information, the leaves would speak to her in more detail about our individual stories. The translator relayed our questions to her, and in turn relayed the answers from Maria. Before asking questions, she told us about ourselves. “You are lucky with money,” she said to me. “And you have a husband and a daughter.” She was almost right as my partner is my common-law husband even though we have never officially tied-the-knot. I asked the translator, “How does she see this?” The answer translated back from Maria, “There…..see those three leaves?” Yes, I saw three little leaves set apart from the other leaves, and I smiled: the three of us, our happy little family showing up in coca leaves all the way across the sea from Hawaii! What an amazing universe we reside in I thought. There is no hiding the truth! Thus my reading went: much confirmation of many truths plus many fascinating predictions. Ah, yes. I knew this truth. I knew the moment I had heard from a girlfriend of this potential pilgrimage that it was FINALLY my time to return to Peru. I wanted to listen carefully to the Ancient Ones and build a rainbow bridge from my home, Hawaii, which was another part of the Old Holy Land. I wanted to physically touch the stones of Peru which vibrate with the MeMUries of the starseeds. By traveling and being immersed in the energies of this land, I would be able to access higher levels of consciousnesss and lift the veils of forgetfulness. I would awaken to even more Self-Remembrance. This was Soul Work...pure and simple. And so it was that many elements of arranging and organizing the journey flowed smoothly with my intention and focus. I purchased a round trip ticket from Los Angeles to Lima, Peru at an unbelievably low price. My partner felt happy about my journey, and the timing worked for our mutual schedules. Yes, the Ancestors had called me to a date with destiny. And yet there were some unresolved fears that came into this perfect picture of bliss with this prospective journey. Night after night, I would have nightmares about Peru, and I could not shake this feeling of dread. Normally I experience certainty about my choices, for answers and solutions make themselves very obvious and clear: yes or no. However, in this situation, there was a feeling that a nameless ‘something’ was lurking below the surface of my consciousness, and the only time that this ‘something’ would reveal itself would be through unsettled dreams and nightmares. Eventually I decided to investigate my fears with others who are gifted with intuition and psychic powers. The first person I consulted was a shaman that worked at a local metaphysical bookstore. I walked into the store one day and asked the ‘reader’ to read my cards. The pictures on the cards actually foretold much of what would occur to me in Peru that was of a troubling nature. And when I left there, I knew that my dreams had been revealing to me the shadow side of the journey, for there would be both sides that would play-out…..the light AND the dark. Apparently, there was no way around this: for me to accept the Call, I had also to accept the initiation into the Shadow, the dark and the unknown. The cards said that I would survive and be strengthend by these encounters, but that it would be uncomfortable for all of us. “See those two little fishes there?” she said as she pointed to two small goldfishes. “These fishes will be your traveling companions, and they have to live in a certain temperature controlled water. Therefore, they can not dive as deep as you, nor swim as high. They will limit you to some degree, and for your trip to be successful, you must swim away from them.” This was my first glimpse into the traveling situation, for as it eventually turned out, there were going to be only three of us going to Peru: me and the two delicate fishes. This information magnified my uncomfortable feelings , and while visiting in Sedona, Arizona, I spoke about my trip to two friends. The man, Many Hawks, was an extremely wise, intuitive 77- year -old Lakota Indian, and his vibes about the journey were not good. He advised me to stay home. His partner felt I would fine, and she stated that I should go ahead and go. The feedback from this twosome was a perfect mirror of what my dueling voices was saying to me: go... don’t go... don’t go. Returning home to Hawaii, I called my favorite intuitive on the East Coast, and finally two days before the trip, I received an email from him: Stray from the group as much as possible, and then you will be fine. This was the second warning about the group I was to be traveling with, and at one point I seriously considered if my timing was off. I checked in with Divine Mother, my Higher Self, my angels & guides and questioned them. The answer was clear: I was to go now! And to make matters worse, my dear friend who had known me through the years stated emphatically, “Now, you’ve gone and done it!” She was obviously not getting good vibes about my journey! As if these fears and feedback from others were not enough to trouble me, right before leaving, another huge Fear appeared. Possible revolution in Peru. The stories of the contender, Toledo, and Fujimora, the current President of Peru, were popping up front page in all the major newspapers. Apparently Toledo had felt the last election had been rigged, and many of his supporters were calling for an ousting of Fujimora. Many angry demonstrations were taking place in Peru. The day I left for Peru, May 28th, was the date set for the re-elections, and many felt there would be a military coup or something drastic happen. I left anyway, for by this time I knew I had a Date with Destiny. When there is so much energy around something, there is really zero choice but to walk through the fears or give in to them. Show up and be counted was what my inner voice was saying! I had to keep a promise made somewhere in time. I had to sacrifice my fears. I had read this book in the 60’s when I was 'waking- up', and I remember thinking that I would like to journey to this place someday. But it was not until the 80’s and I was receiving a psychic reading in Phoenix, Arizona that this monastery would again be brought to my attention. The reader saw me journeying to Peru when I was much older (which is now twenty some years later, and believe me, I DO feel much older in many ways!) and sitting in front of the great Solar Disc. This Solar Disc had previously hung within an important temple in Lemuria and had been transported for safekeeping to this Monastery when the Spanish had invaded Peru. The Incas had to get it out of Cusco quickly before it fell into the wrong hands. Supposedly it held many incredible powers, and later I will share with you my experience of being with this Solar Disc, for yes, the psychic had been right, and I did get to experience this incredible disc in this lifetime although not in the 3rd dimension but in an altered reality. I discovered a local legend while reading an obscure tourist manual in Peru that connects with other legends about Noah and floods. This legend states that their forefathers used to live in the Lake before there was a shining sun and the lake was much bigger then. A war came about between these people and people that lived in dark places in the caves and hills. It was during this time that the sun came out for the first time, and many people were destroyed on both sides of the conflict. Then the Father of the Gods came down and brought people with him, and when this Father became offended, he left the Earth and sent heavy rains which flooded everything. The only couple left was an Uro couple in a reed boat that began a new community. Consider the possibility that this is the identical legend that has been shared in many cultures, for it has much in common with many other worldwide legends which speak of the various Noahs that were saved by a God-like being from a disastrous world flood. Also, at one time, there was supposed to have been a firmanent above the Earth, a water-filled firmanent which blocked out the Sun and which kept the Earth temperate. During a major conflict, this firmanent was dislodged, and the water that was in it became the oceans of the world in a massive flood. Thus, this local legend is witness to these other ancient legends and would seem to confirm that each locale of the world kept a version of the story intact even to present times. So who were the people that the legends refer to that lived IN the lake, the LARGER lake? Consider the possibility that these amphibious beings were the original caretakers of Earth and what people commonly refer to today as mermaids, although the correct term would be Mer- Folk. These Mer people were the first beings that populated Earth long before pre-man came along and took over the designation as humans, eventually becoming the men and women of our age which are a fairly recent appearance in the evolutionary scheme of things. Many ancient records tell stories about Oannes, Vishnu and others who were the amphibious beings (the Mer Folk) that came from the waters to re-establish culture, science and knowledge on Earth after the floods. Consider the possibility that these beings, the Mer Folk, were the original inhabitants of a planet that was the first Earth, a 4th planet, that was shattered by another planet that came roaring through our solar system. Mars was then the 3rd planet. The planet on its way through our solar system (Nibiru) impacted the 4th planet, and the remains of the 4th planet became our present day Earth. Maybe 70 % of this former planet is present day Earth, and the rift where the shattering took place is the Pacific Ocean area. The rest of the fomer 4th planet is the present day Asteroid Belt. This planet is the memory of Mu or Lemuria. And that is why so many people that do regression work or touch into their cellular memories can recall this devastating cosmic encounter. They have recall of having been of One Mind... One Heart...One Being, and they can also recall the terrible impact and resulting havoc. Or another possibility is that the original caretakers placed on this planet Earth after a catastrophe were amphibious beings, known as the Nommos, a soul group from a planet near Sirius B that take the physical forms of dolphins, whales, or mermaids/mermen. However, many of the Nommos also walk upright, and many are now incarnating into the human form. Once upon a time (and who really knows when) their former home imploded, and they were given the earth as their new home. They were sent to Earth from Sirius for the benefit of humankind, and are saviors and spiritual guardians for the developing species and souls in the Earth School. Many ancient civilizations mention these fish-like beings: Oannes from Babylonia, Ea from Acadia, Enki from Summer, Isis from Egypt, Dagon from Philistia and Nomo from the Dogons. They were also described as beings with scaly, fish-like skin. Consider the possibility that these Mer beings exist and telepathically contact certain ones who are a part of their soul group and assist them to remember their Star Ancestry. Most likely they collaborate with the cetaceans, specifically the dolphins and whales, who then begin contact by initiating a relationship with them. In recent years there has been a huge world-wide activation by the dolphins, either in the dreamtime, meditation state or through real-time water encounters. The dolphins see humans as if we were a hologram, for they can see all our states in one scan, and they don’t even need to do this in the physical. For once a person begins raising their consciousness, they become known in the etheric realms, and the dolphins, who live in higher consciousness, then begin their activation process. We each have an Oversoul, our original pattern, and during the ascension process, we are working our way back to remembering this Original Pattern, our long-forgotten roots, consciously Re-Membering our Higher Self, our Cosmic Identity. Maybe one of these archetypal patterns for some of us is an etheric amphibious being. Through the process of linear time, we have been working our way back Home in successive reincarnations to our authentic state of Oneness where we will be focused on light-body living once again. Consider the possibility that these Mer Folk were the Ancestors that Maria had spoken about to me in her coca leaf reading and the ones that had called me to Peru, specifically to the Lake Titicaca area of Peru & Bolivia where soul memories awaited me to be reclaimed in full consciousness in this lifetime. Certain areas of the world have been shown to me by my spiritual mentors to be connected to these amphibious beings, and Peru, specificially Lake Titicaca, was one of them. Lake Titicaca and the surrounding area is known to be the primary portal for the Divine Feminine on this planet, as Tibet is the primary portal for the Divine Masculine. I had already journeyed to Tibet two years earlier and now it was time for the opposite polarity, the Feminine. Consider the possibility that not only were the Mer Folk ONE of the surviving races, but that there were also giants that survived the great Deluge. There have been tantalizing clues found all over the world that suggest the world was once populated by gigantic beings that stemmed from the pre-flood era. Tall mummified remains have been found in California, Nevada, Greece, Italy, the Middleast and Peru. All of these mummies are evidence that once giant beings walked the earth. These Titans were mentioned in the Sumerian clay tablets, in the Bible and many other legends of indigenous tribes all over the world. Apparently they were in excess of seven feet tall, had six fingers and toes and an extra row of teeth. They were fearsome to the smaller species of man that followed. Scientists conjecture that under better atmospheric conditions than we have today, giants could have lived. After the Flood, most likely the atmospheric conditions and ozone layer would have changed. After flying into Lima and spending one night at a hotel nearby the Lima airport, our group of three flew into the high altitude city of Cusco, Peru, the ancient capital of the Inca empire. Relaxing in a rustic wooden chair on the terrace of our hostel after a lung-wrenching climb in the high altitude, I had a panoramic view of the city of Cusco and the sacred terrain of the Cusco Valley. I could see beautiful terracotta tiled roofs on adobe structures as far as the eye could see cradled between dry barren hills. Out of site were the twelve sacred mountains. These mountain deities are called Apus (or Apukanas) by the indigenous peoples. The Apus are considered Sacred Beings and are believed to control various aspects of the Divine that is part of everything. It is customary to call upon the Apus when one arrives in Cusco, make them an offering and ask for their blessings, so I called upon the Apus and asked for their aid on my journey ahead. I specifically put a request to the Apu that aids in recovering knowledge for this was my primary mission. Even though I did not know which Apu correlated to which mountain, I knew that these Spirits operated like tuning forks and that through resonance, we would connect. I felt a warm response and acceptance. Cusco translates to navel, and it is easy to why when one view the sacred landscape of the city. The main plaza, the Plaza Des Armas, sits like a navel would in the human anatomy, surrounded by graduated levels of buildings and rising hills on all sides, with mountains ringing the whole. Cuzco is a charming city, full of life and nightlife. The locals like to make parades around this main plaza at night with costumed youngsters of all ages participating in song and dance. This nightly partying, the fiestas, has been going on for thousands of years. There are many young foreigners from all over the world running around which makes it feel very international. I liked that there were also lots of internet bars, cafes and great restaurants. Many of the original Inca stones make up the foundation walls along the small, winding cobblestoned streets that gather into different plazas. And for me, the Mer folk made their statement loud and clear: at the very center of the navel (at the center of the main plaza of Cusco: the Plaza Des Armas) is a beautiful fountain which is designed with Mermen blowing their conch shell horns! This was confirmation for me when I saw this for the first time, and chill bumps went all the way up and down my spine. Observation of the Obvious. This is one of the main tenents of higher consciousness. Yes, indeed, this was just one of the first Mer people clues that would be coming my way throughout my pilgrimage. knowings about the ancestral Mer people and had the Incas inherited much of the original roads, alignments and layouts from the earlier caretakers ? As I stared down upon the Cuzco of today, a charming city that is no longer at the center of Inca power but possibly STILL the navel of the Earth, I puzzled about the reality of the Mer Folk. Were they still living in the third dimension on earth but in hiding? Did they resemble the paintings, descriptions and images that were commonly presented about them? Or had they long ago disappeared to another dimension … along with the the Ancient Ones, the Anasazi? Could they be contacted? Were the Mer Ancestors still close by in another world which is solely fourth dimensional but which interpenetrates our own? Had I truly been called by them? I’ve never been specifically trained to access the non-visible worlds, but indeed that is what I do much of the time for I am an energy sensitive being. It is natural for me as this ability is part of my human design, and I am patient in allowing the answers to come forth in right timing. I had been researching the myths and legends about mermaids for some time, and many words and revelations had suggested that Peru held some of the secrets. For instance, I read in the book by Mark Amaru Pinkham, “The Return of the Serpents of Wisdom,” that “one of the earliest immortal Serpents from Mu to colonize Amaraka was Aramu Muru or Amaru Muru, the Serpent Muru. According to legend, moments before Mu’s final demise the Serpent Muru along with his consort Arama Mara boarded an airship and headed to South America with a cargo of sacred records and artifacts, including a huge golden Sun Disc. The mountains of South America, the Andes, resonated to the same yin vibration as their beloved Mu and were thus considered suitable for the preservation of Lemurian culture. They were also home to the city of Paititi, one of the planetary headquarters of the Solar Brotherhood, an organization Aramu Muru had been a high ranking member of on Mu.” I couldn’t help but notice the word Aramu Muru…..it was just another way of spelling Mer: Mer, Aramu, Muru, one and the same. This is where the amphibious Mer people had moved to and had made their new home after the destruction of Mu! And the map in Mark’s book showed a reproduction of an ancient South American sea that stretched almost all the way from the Pacific to the Atlantic. I felt I was getting warm, and I definitely knew I had to be in Peru to get hot. Why did I experience such longing to understand this arcane puzzle, I can only say this: The Soul has its reasons which are often a mystery to the personality. Quickly we were off to the Sacred Valley and the village of Ollantaytambo, a vortexual mountain, where the enormous megalithic temple ruins beckon the tourists to browse their mysteries. It is sometimes called Temple of the Wind, but no one actually knows its original purpose, and it has been called in some books, “the landing pad of the Gods.” Some writers believe that this temple’s function was that of an initiation temple for the opening of the Heart Chakra, and like the other temple sites of Peru, is surely a doorway into a different reality through which we can awaken our consciousness. It was designed to concentrate energy and honor the Spirit of Mother Earth I sensed, so I began my time in the temple ruins with my offering to Pachamama, the Mother Earth. I took three coca leaves from my medicine bag, made what is called a k’intu and then fanned them out blowing on them with my prayers. Then I threw them into the winds, and continued chewing the coca leaves, taking the gummy remainder of the leaves from my cheek and burying it into the earth with more prayers and a tiny crystal dolphin. After pressing my forehead to various stone walls, I located one panel that had engraved upon it the stair-step design. This stair-step design is sometimes stylized as the Andean Cross, but this wall had five steps which was more aligned with the original design of the ziggurats. These truncated pyramids were built in seven tiers in ancient Babylon, and possibly this is where the origin of our word ‘zig-zag’ came from. This is a literal description of what I later experienced at another dimensional doorway, for one etherically zig-zags through a portal! And like the design so aptly portrays, it is lightening fast! I was guided to locate a power spot to meditate, muse and commune with the powerful entities of the area. Shortly a lone Quechua man caught my attention, and I observed him perform a mysterious act. After he departed, I felt drawn to mimic what he had done: slide my hand into a hollowed–out groove of a huge rectangular granite stone. This groove was just the perfect size for a hand. I sensed it was for me to receive the frequency he had been transmitting. I stated with strong intention to the Ancestors, “I am here to turn the key and open the door to memory. I am here to experience the Ancient-Future. I make myself available to your guidance, and I open to insights.” This act was my first statement of intention and power. There is an extensive underground tunnel system that runs underneath the sacred sites of Peru. These tunnels supposedly correlate with the ley lines or water lines that run throughout the countryside, and the main temples such as Ollantaytambo and Machu Picchu are lined up with these ley/water lines and tunnels. Most of the openings have supposedly been closed down by the government, but there are many stories about people that have discovered an entrance into the labyrinth or maze beneath the ground and the marvels they discovered. Under Machu Picchu there has been observed a lake by some indigenous people, but so far this story hasn’t been proven or disproven. These elaborate tunnel systems were one of the ways that much of the Inca gold was smuggled out and away from the Spanish invaders. Perhaps the tunnels have fallen into disrepair throughout the centuries, or perhaps they have been maintained and are guarded. Perhaps there are shamans that know their way around down below and keep the secrets intact. Maybe gold, precious gems, records and artifacts are still stashed away in some deep vault, waiting for the right adventurer to discover them when the time is right. Ever since the declassification of ground-penetrating radar several years ago, amazing data of complex, labyrinthine underground systems in various parts of the world like the Mayan pyramid complex at Tikal, Guatemala has shown how it was possible for the Mayan Indians to escape from the Spaniards. Likewise, an enormous subterranean complex beneath the Egyptian pyramids has been mapped using the SIRA radar system. There has been revealed a vast megalithic metropolis reaching several levels below the Giza plateau. This metropolis includes enormous statues, massive chambers, subterranean rivers and lakes. The sophisticated technology that created this is way beyond our present technology. The Inca times are not ancient in comparison to the grand old age of this planet, and they were just a small little blip in time when one considers the millions of years that sentient beings of many different times have lived on Earth. Scientists have discovered that humanity is far older than was originally perceived ten years ago. Many of the stones that make up the temples of Peru are pre-Incan, and as such, were placed in the temples by the megalithic peoples for which there are limited facts. When the Incas came on the scene, the stones were already in place in the temples, and the builders had disappeared. Vanished. Perhaps they found their way into another dimension, but this is merely conjecture. Meanwhile, back at the hostel where our group was residing, Julia began our diagnosis for mikuy ( releasing dense energy) and for healing. She said that I was balanced on all levels and was just fine so I could run along. However, my travelling companions, the two fishes, needed her healing assistance. So whilst they were given her herbal ministrations, I wandered around the small town of Ollayntambo and began my contact with the locals by practicing my limited Spanish through the time-honored tradition of shopping. I bought a couple of alpaca items, t-shirts and woven goods, and everything seemed to be accomplished easily with just one word: Cuanto? (How much? ), a smile and exchange of soles, the Peruvian currency. I was the only tourist I saw that day for many had cancelled their reservations upon hearing about the turbulent political climate. Although I had a very different appearance than the locals, I felt completely comfortable. The Peruvian peoples are non-aggressive , non-threatening and observe one such as myself in a very discreet fashion. I felt safe with their calm energy. I returned to the hostel to discover that the electricity and water were not working and was informed that when this happens, no one knows when the services will resume. Our tour guide suggested we return to Cusco earlier than planned. However, for one of the fish this was an annoyance, an inconvenience and the beginning of anger which she projected upon me as she incorrectly assumed that I was the instigator of this move. I reminded her that sometimes situations come about on journeys that are out of our control, and that this was an opportunity for her to stretch! This fish was a trust-fund baby, had never worked a day in her life, nor did she participate in charity or volunteer work. She spent her days moving from alternative healer to masseuse to psychics when she was not traveling. She had a very carefully controlled life, and she called the shots. Thus, the word ‘stretch’ was not in her lifestyle, nor her vocabulary. She fumed and called me a betrayer. Suddenly, I saw her face turn into a likeness of a small, predatory bird. The other fish was undergoing what appeared to be a nervous breakdown, and her primary mood was a heavy one: alternatively crying, sulking or brooding. She was a successful naturopathic doctor in the U.S. While on this journey, her husband of many years would be moving out of their home. He had finally had it with her because of her flagrant infidelity and was moving on. She kept to herself for the most part, and when I smiled at her, she returned my smile with stink-eye. Her projection of negative energy was beginning to make me very uncomfortable. Our tour guide was extremely self-contained, or was it merely aloof or disinterested? I couldn’t really tell, but he blamed his unsuccessful tour business on the black magicians who had wanted to shut him down. Certainly, they had succeeded in some respect, for his personality was certainly shut down. A man of few words and even less smiles, he was very difficult to connect to. I saw the three of us traveling to India at the time of the British colonization of India in the 1800’s. The women were then my elderly aristocratic aunts, and my mother, had sent me along with them on a 3 month journey. We had trunks, porters, servants and a tour guide/man servant--which was our present tour guide in that lifetime. I remembered their complaints about everything, especially the heat. They were demanding, whining and always picking on me. I was miserable being with these two old biddies. Then the scene changed, and I saw myself laughing, drinking wine and splashing my feet in the water with another British group, and we were having a great time. I had abandoned my aunts and had taken off with this lively group. My mother was promptly informed, but my mother was so busy with her own life, and she was not concerned. My aunts were left to be miserable by themselves. I awoke from this trance with a new understanding of our relationship, and I realized clearly for the first time my trepidations about traveling with these two. Apparently, the great karmic director had felt it necessary to repeat this experience for each other, although this time our journey was to be for only three weeks, not three months. Time was definitely speeding up! What was our group to re-hash, re-create or realize? Would we heal this past experience and wounding? Or would we simply repeat our drama on a new journey in another part of the world?